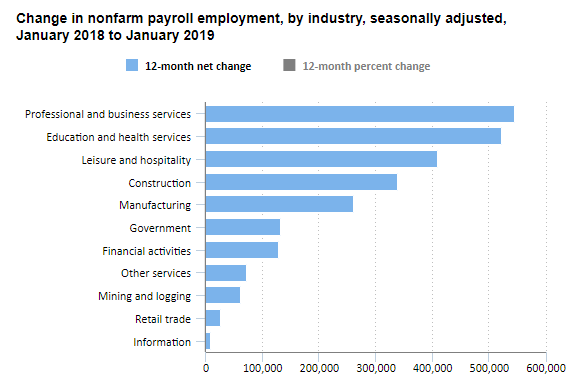 The Bureau of Labor Statistics announced that nonfarm payroll employment increased by 304,000 in January 2019. This is compared with an average monthly gain of 223,000 in 2018. “In January, employment in leisure and hospitality rose by 74,000 and added 410,000 jobs over the last 12 months. Construction employment rose by 52,000 in January and has added 338,000 jobs over the past 12 months. Employment in health care increased by 42,000 in January and added 368,000 jobs over the last 12 months. Employment in transportation and warehousing rose by 27,000, following little change in December. 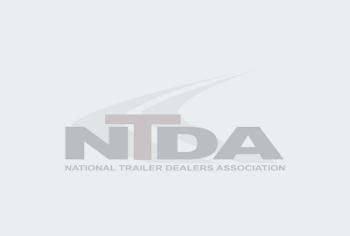 Over the year, employment in transportation and warehousing has increased by 219,000.